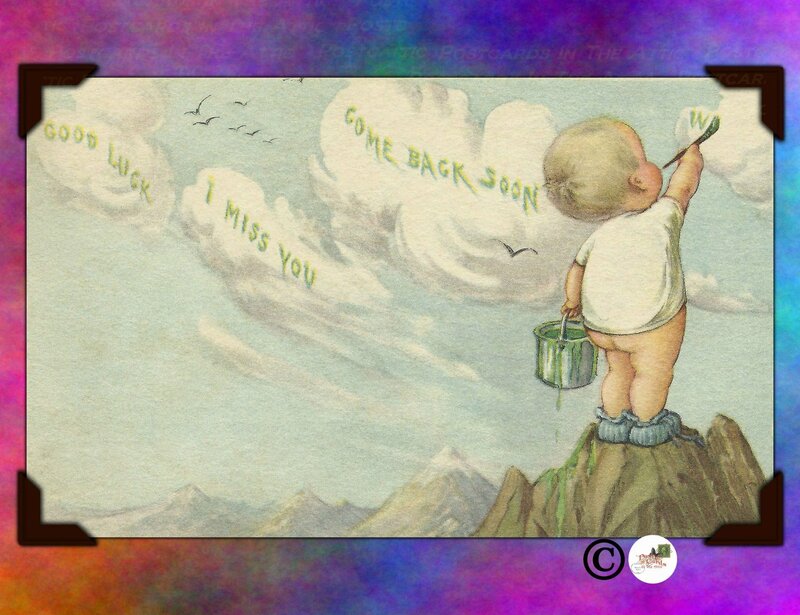 Cute little bare bottomed baby painting the clouds "Good Luck" "I miss you" "Come Back Soon.." on Tie-Dye background in rainbow of colors. Handmade but with a vintage theme. Created using a combination of filters, scanned images of vintage postcards that were digitally restored and combined for a whimsical vintage feel. Back side has the PostcardsInTheAttic.com Logo. Great to Send or give away the collection as a beautiful gift. Note: Note Cards only, the other items in the image is only to give you a sense of how they would look on a desk.